"Here's the mail, it never fails. When it comes I want to wail: Mail!" Again, just have to say that my friends are great. 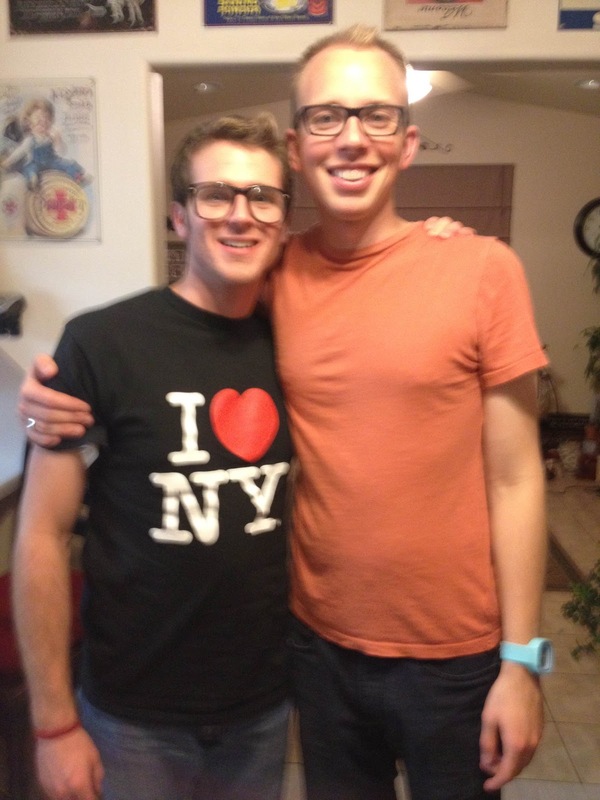 My friend Samuel Hardman Taylor is an outstanding, intelligent, socially apt individual who will be working on his graduate studies at Texas Christian University. Woot! At Sam's "Goodbye Mona" party 28 July in Mona, UT-- Sam's hometown. The other day I received a postcard from Sam in the post. 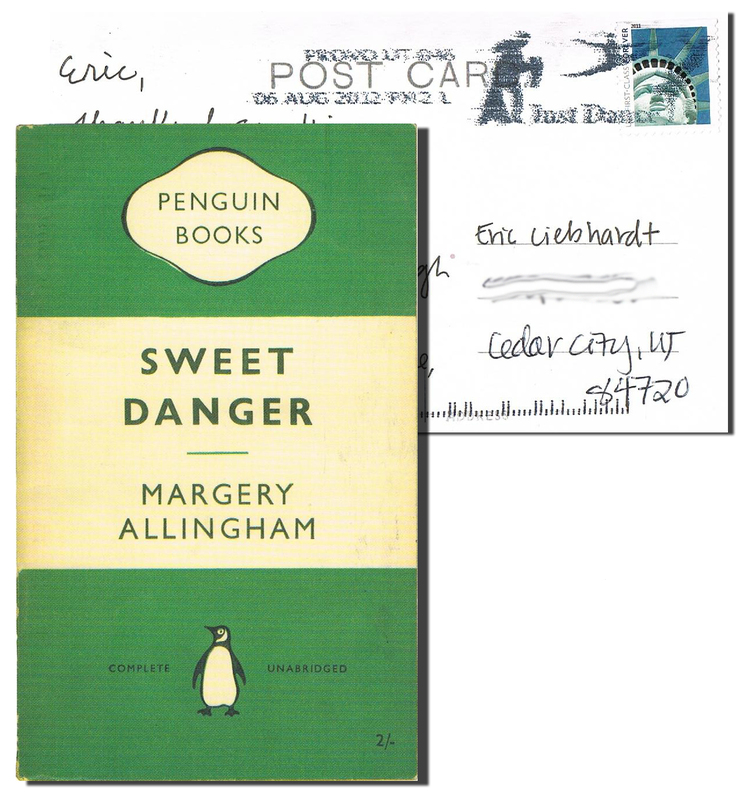 A Penguin Books postcard, nonetheless! And it got me thinking about postcards. . .
My brother Nick and a group of his chums have a fun tradition that whenever anyone of them goes on a trip, they will send postcards to everyone in the group. And then you have a nice little collection of postcards from around the world! 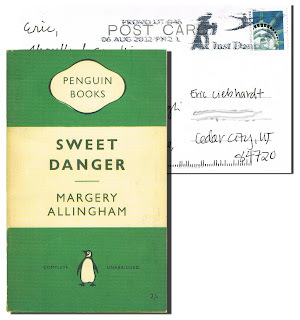 Postage for postcards is only 32¢! I love postcards! They are so great. And snail mail. It's all good. Also, I just blog stalked you a bit & am quite excited for you to blog for tbirdnation this year! Hooray! I so love postcards! I seem to end up buying several postcards when I go on trips because they always have way better pictures than the ones I take. But I love getting them from others even more! I would totally be in a postcard club with you!!! Great idea!